This book provides a comprehensive collection of the newly emerging treatment modalities, covering high intensity ultrasound treatment, photodynamic therapy, MR-guided treatment machines, nanoparticle-enhanced radiotherapy, and proton beam therapy. The invited expert authors cover a wide range of the latest advancements and developments in dosimetry techniques as well asnd their clinical implications, including calorimetry, radiochromic film, transmission detectors, real-time portal dosimetry, TLD, thermal imaging dosimetry, 3D dosimetry, best feasible DVH planning, 5D planning and delivery, 3D printing, as well asand machine learning in medical dosimetry. 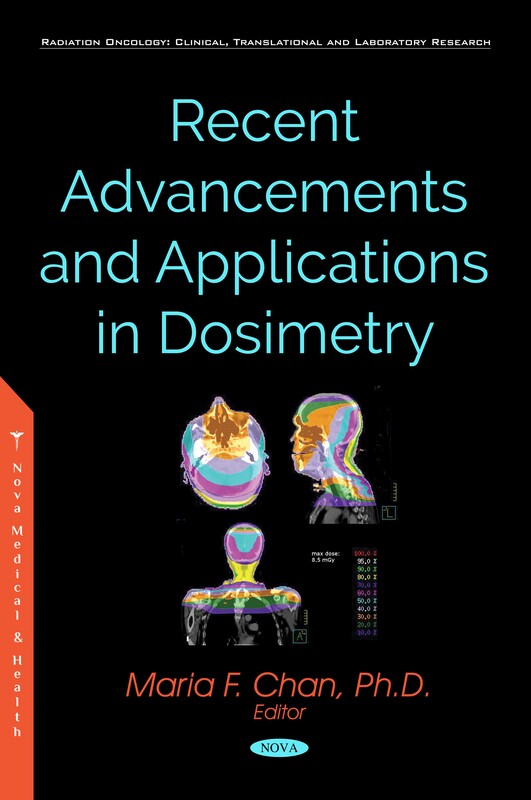 This book will bring the reader up-to-date with the state of the art in radiation dosimetry and best clinical practices using such advanced detectors. Keywords: radiotherapy, dosimetry, radiation detectors, radiation oncology, protons, IMRT, EPID, high-intensity ultrasound, photodynamic therapy, calorimetry, radiochromic film, 3D printing, machine learning, QA. This book was written for Medical physicists, radiation physicists, radiation oncologists, radiation oncology, radiation therapy, medical physics, all medical schools and cancer centers/clinics, as well as medical dosimetrists programs, radiation therapists programs, and libraries of all universities.